Your story is such an inspiration. I think that there are a lot of people who are facing some of the extreme challenges you faced and will see you as a role model for overcoming challenge. I think the best way to tell your story is to first talk about how things went wrong and then how you triumphed and made things right. Can you share with us the events that caused you to face some of your darkest days? After becoming pregnant with my second child, I was diagnosed with gastroparesis in pregnancy. My symptoms were pretty extreme to the point of severe abdominal pain, vomiting, and dehydration. I spent all of my pregnancy in the ER or being admitted as a patient to the hospital. The medical expenses were overwhelming so my husband and I became homeless. A year later, my husband was laid off his job, and we became homeless again. I overcame this obstacles by keeping my faith in God and never giving up in spite of the odds that were against me. I determined in my mind that I would be an overcomer. When things were at their worst, what kept the light of hope lit for you? Worship my light of hope. I just cried and embraced God’s amazing love for me. I knew that he would eventually bring me out. When people survive such overwhelming challenges, there is a point where there is a shift and things start to change for the better. What was it for you that helped to get your life on a road to recovery? Being accepted as a graduate student into my master’s program was a huge victory for me. There was a process to go through, and I was tearfully joyful upon receiving my acceptance letter. When did you start to aspire and work toward becoming a teacher and school leader? I always knew that I wanted to be a teacher since the age of about twelve so everything about my life surrounded accomplishing that dream from that point on. After resigning as a teacher in 2007, I took some time for myself to regroup and renew my focus on what I wanted to do in the future. After going through my near death experience, the timing just felt right to go after it. 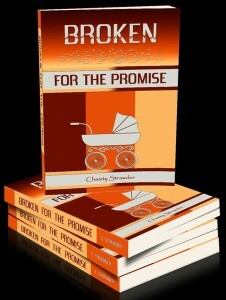 How and why did you decide to share your story and write your book, Broken For The Promise? And what is the significance of the title? Earlier this year (2014), I started to think about and journal the details of that very challenging time in my life. I felt like God was telling me to turn all of this into a book. I stepped out on faith, and got it published. The significance of the title describes the process of what I went through to bring forth some amazing things in my life, the birth of my son and my master’s degree to become a principal. Your life is a model for happiness. You’re married with 2 sons and have a thriving career. What was the most important reason that you were able to get from a place of despair to where you are now? How do you hope your book, Broken For The Promise, will help others? 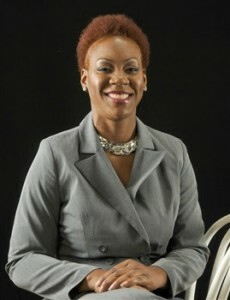 I hope that my book will renew the strength and faith of others. There is really purpose in pain. God can create something wonderful out of pain & devastation. If someone is in your shoes right now, and they have lost their way and their faith, what do you want them to know? I want them to know that God loves them. Never stop believing and holding on to him with everything in you. He will see you through until the dawn!